Organized in 1963, The Creation Research Society is a professional organization of trained scientists and laypersons who are firmly committed to scientific special creation. AIG is one of the most aggressive teaching,and publishing creation ministries in the U.S. Their new, 27 million dollar creation museum in northern Kentucky is a "don't miss" for creationists. The Creation Evidence Museum in Glen Rose, Texas features many fascinating archaeological finds and lectures by Dr. Carl Baugh. Alpha Omega Institute. Dedicated to teaching the Biblical and scientific evidence of creation throughout the world. Links to creation sites all over the world, indexed by country and states, access to creation newsletters from across the country, a creation picture library, links to creation museums, articles and teaching resources. Its all available and more on this fantastic site. "Acquiring and Distributing Knowledge Regarding God's Creation" We are Christians who take the Bible as the inspired Word of God, an unchanging source of truth. We find that the scriptures overwhelmingly present a young supernatural creation, an expulsion from paradise and “curse” of the ground, a cataclysmic global flood, and a confusion of language that forced a worldwide dispersion of people groups. This our brother organization in Houston. Texans for Better Science Education is a group of concerned Texas citizens who support the right of all students and teachers to learn about both the strengths and weaknesses of evolutionary theories free from censorship and intimidation. Creation Ministries International is a young earth creatiionist group out of Australia, with close ties to AIG. They have a good, informative website as well as access to good materials. 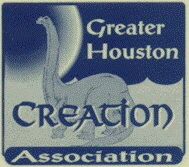 Visit Creation a website which pulls together information about creation museums and creation tours all over the U.S. and in foreign countries! This can be a great tool for planning a vacation or school trip! Search for the Truth Ministries is a Young Earth Creation Ministry headed by creation evangelist Bruce Malone operating out of Midland, Michigan. Mr. Malone is a prolific author and speaker. They offer numerous DVD's and books written and produced by their ministry. Their creation devotionals are one of the best creation evangelical tools we have. If you would like your page added, EMAIL US, we will review it and add it if possible.